Mission: Ramapo College is New Jersey’s Public Liberal Arts College, dedicated to providing students a strong foundation for a lifetime of achievement. The College is committed to academic excellence through interdisciplinary and experiential learning, and international and intercultural understanding. Ramapo College emphasizes teaching and individual attention to all students. We promote diversity, inclusiveness, sustainability, student engagement, and community involvement. Revisions to the College mission and vision were adopted by the Board of Trustees on June 30, 2013. Teaching, learning, and mentoring–we are actively engaged in and out of the classroom. Developing the whole person–we are scholars, we are creators, we are local and global citizens, and we are individuals. Respecting each other and our environment–we are an open, inclusive, supportive, and sustainable community. The Values Statement was approved by the President’s Advisory Council on September 26, 2016. History: Ramapo College stands on ground that had been traversed by Native Americans for centuries. 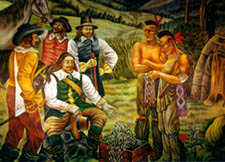 In 1700, Blandina Bayard, a widow, and the first Euro-American settler, established a trading post near the Ramapo River. Soon after, persons of Dutch and French Huguenot heritage established pioneer farms. During the American Revolution, Valley Road was the major connecting route for Rebel forces and for communications between New England and the south, since the British controlled New York City and its environs for most of the war. Washington and the Continental Army encamped on what are now the College’s athletic fields on a number of occasions. General Rochambeau and the allied French troops marched down Valley Road in 1781 on their way to the Battle of Yorktown. By the middle of the 19th century, wealthy New Yorkers began to establish homes and estates in the scenic Ramapo Valley. Theodore Havemeyer, a wealthy sugar refiner and a leader in the formation of a national sugar trust, bought the Hagerman home on the north side of Ramapo Valley Road in 1878 and then developed a 1,000 acre model farm and estate. He and his wife Emily, a daughter of the Austrian Consul General of New York, had nine children. One of them, Lillie, married the overseer of the estate, John Mayer. Despite some anxiety about the marriage, the parents opted to build the couple a villa on the other side of Ramapo Valley Road. This red brick Queen Anne style mansion was begun in 1887 and completed in 1890 at the cost of $100,000. It was argued by the Bergen Democrat that this building was an indication that the sugar trust was producing large profits for the monopolists. Soon afterwards a two-story brick frame lodge near the mansion was constructed. 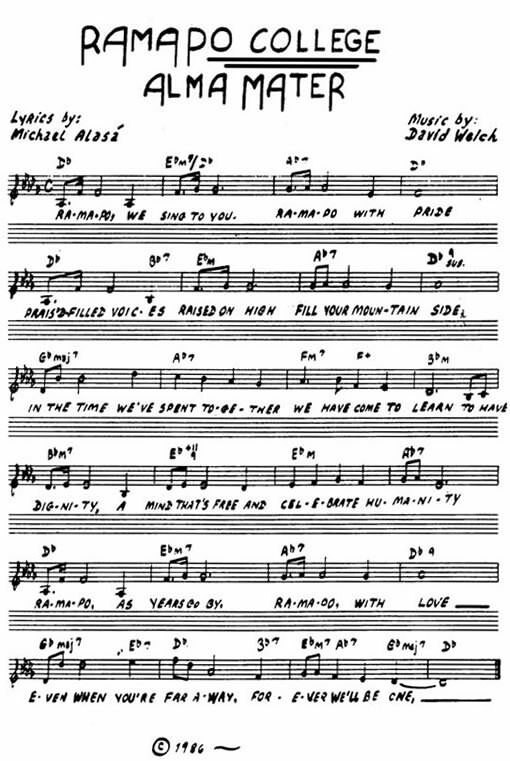 The Mayers, meanwhile, were having and raising four children. Then, in 1900, Lillie died of a gunshot wound in the mansion. The family said it was an accident. By 1917 the other children of the now deceased Theordore Havemeyer (he died in 1897 with an estate worth 4 million dollars- 50 million in current value) decided to sell the Mansion and 730 acres of the estate to Stephen Birch. A former tutor of the Havemeyer children, he was sent by the family to Columbia University and was financed by them in an exploratory trip to Alaska in 1899. There he developed a major copper find and with the help of Havemeyer, Guggenheim, and J.P. Morgan formed the Kennecott Mining Company. Birch became its first president. He and his wife Mary had two children, Stephen and Mary. For the marriage of Mary to a Mr. Patrick in the 1920’s, the Birch family added the York Room to the Mansion. When Stephen Birch, Sr. died in 1940, the Patrick family inherited extensive family holdings in Orange County, California and the younger Stephen inherited the Mahwah property. He raised Holsteins and other animals and lived a reclusive life. In 1970 he died from a fall in the Mansion and the estate became property of the Patrick family. 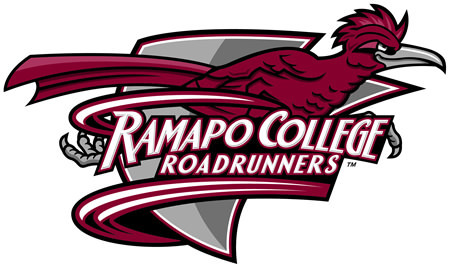 Just at this time the founders of Ramapo College were looking for a site. After considerable negotiating, it was agreed that the Mansion and other buildings (for $215,000) and 300 acres (for $2,918,00) would become the property of the people of New Jersey and the newly planned public college. *author of From Pioneer Settlement to Suburb: a History of Mahwah, New Jersey, 1700 – 1976 (LD4701.R312B62) and Ramapo College of NJ: the First Quarter Century, 1971 – 1996: a History (F144.M19B57 – both in the Potter Library) . 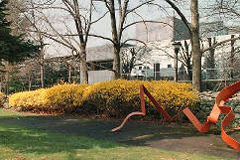 George T. Potter Library – Completed in 1980, the Library was named for George T. Potter, the first president of Ramapo College who served from 1969 to 1984. J. Lee’s Student Activities Lounge – Complete in 1978, the Lounge is dedicated to a beloved student activities manager who tragically died in 1995. Havemeyer Arch – Located in the College’s grove, the classical style red sandstone arch with brick support walls is an important campus landmark. It was moved to this location from the courtyard of the Theodore Havemeyer Madison Avenue residence around 1916 by Stephen Birch, who later owned the Mahwah property. Bill Bradley Sports and Recreation Center – Completed in 2006, the Center was named for former New Jersey Senator and NBA basketball star Bill Bradley. Anisfield School of Business – Completed in 2008, the building was named for former Board of Trustee member and long-time College supporters and benefactors, Millicent and Richard Anisfield. Sabrin Center for Free Enterprise – The Center, located in the Anisfield School of Business, is named for Ramapo faculty member and long-time College supporters Murray Sabrin and his wife, Florence. Berrie Center for Performing and Visual Arts – Completed in 1999, the Center is dedicated to long-time College supporters and benefactors Angelica Berrie and her late husband Russ. Myron and Elaine Adler Theater – Completed in 1999 and located in the Berrie Center for Performing and Visual Arts, the blackbox theater that can seat up to 100 is named by Myron and Elaine Adler. The Pascal Gallery is in the Angelica and Russ Berrie Center for Performing and Visual Arts. The Pascal Gallery is a postmodern facility designed by the firm of Hardy, Holtzman, and Pfeiffer. The Pascal Gallery was funded by Gregory Z. Bukstein, a beloved and generous benefactor of the College, in memory of his twin brother. Thomases Commons – Completed in 2003, the Commons is located in The Village residence complex and is dedicated to former Board of Trustee and long-time College supporters Florence Thomases and her late husband, Fred. Nancy Mackin Hall – In appreciation for Dean Nancy Mackin’s commitment to the transformation of Ramapo College into a residential campus, Maple Hall was renamed Nancy Mackin Hall in 2009. Robert A. Scott Student Center – Completed in 1975, the Center was named for Dr. Robert A. Scott, the College’s second president who served from 1985 to 2000. Havemeyer House – The current residence of Ramapo College presidents, the building was completed in 1849 and sold in 1878 along with the surrounding property to the family of American Sugar Refining Company proprietor Theodore A. Havemeyer. The College purchased the property in 2001. Birch Mansion – Designated a historic site by the Mahwah Historic Sites Committee of the Township of Mahwah, the mansion was built between 1887 and 1890 by Theodore A. Havemeyer for his daughter Lillie, and her husband John Mayer, as a wedding gift. The property was sold to Stephen Birch, first president of Kennecott Mining, in 1917 until it was sold to the State of New Jersey for the construction of Ramapo College. Adele & Reuben Thomas Pool – Renovated in 2007, the pool is named for former Board of Trustee member and long-time College supporters Adele and Reuben Thomas. Roukema Center for International Education and Entrepreneurship – The Center, located in the Anisfield School of Business, is named for long-time College supporter and former Congresswoman Marge Roukema. McBride House – Completed in 1890 by the Theodore Havemeyer family, the McBride House was used by guests of the Havemeyer family. In 1970, the house, including 340 acres of land, were purchased by the State of New Jersey for the construction of Ramapo College. In 1993, the home was named for the Nevins McBride family of Franklin Lankes, following a gift to the College to renovate the property. Today, the building house the College’s Office of Enrollment Management and Student Affairs. Governor William T. Cahill Center – The Governor William T. Cahill Center for Experiential Learning and Career Services was dedicated in 1971 to honor New Jersey Governor William T. Cahill’s commitment to experiential education. Sharp Theater – Completed in 1999 and located in the Berrie Center for Performing and Visual Arts, the theater is named for the Sharp Electronics Corporations USA. The Kresge Foundation Gallery is in the Angelica and Russ Berrie Center for Performing and Visual Arts. The Kresge Gallery is a postmodern facility designed by the firm of Hardy, Holtzman, and Pfeiffer. The Gallery is named on behalf of the Kresge Foundation whose challenge grant helped complete the funding for the Berrie Center. Selden Rodman Gallery of Popular Arts of the Americas – Completed in 2000, located in the B-Wing of the College’s Academic Complex, the Gallery houses of the collection of Selden Rodman. Salameno Spiritual Center – Named in honor of Lawrence and Theresa Salameno, of Allendale, 2010. Conceived as a sanctuary for meditation, reflection, and celebration, students and members of the College community can practice their faith, discuss ethical issues, seek refuge, and use it as a place for quiet contemplation. Pamela M. Bischoff Hall – In appreciation for Vice President of Student Affairs Dr. Pamela Bischoff’s commitment to the transformation of Ramapo College into a residential campus, Oak Hall was renamed Pamela M. Bischoff Hall in 2009.